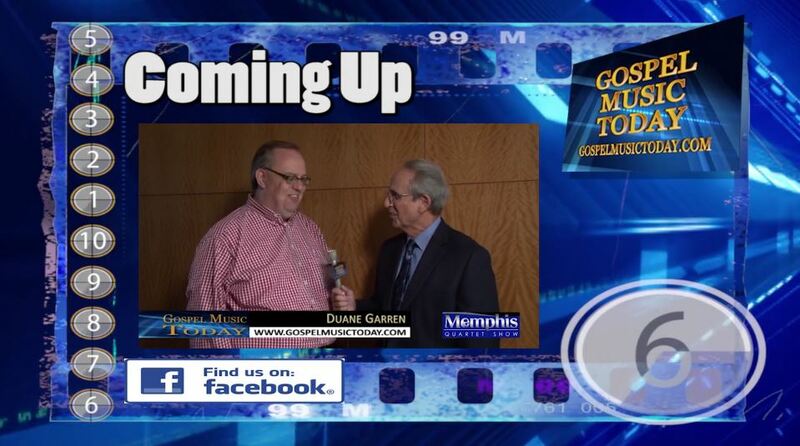 Duane Garren is the guest on Gospel Music Today for the week of February 19 and Ken and Jean Grady host southern gospel news and concert updates. The Feature Group is Legacy Quartet, and Jean reviews a new recording by Jeremy Cato. An article from SGNScoops.com about The Hyssongs is the subject of this week’s News Notes. In the News this week is Mark Lowry, Lauren Talley, The Old Paths Quartet, the Pine Ridge Boys and the April Potter Agency. The show features a new song by Bruce Hedrick, exclusive concert video of The Ambassadors, recorded by Gospel Music Today’s cameras in Broken Arrow, OK, and a visit to the Gospel Music Today Archives for an exclusive video of Mark209, recorded by Gospel Music Today’s cameras in Owasso, OK.